As we look forward to 2019, we are excited to see what new molds are released! Lucky for us, we can take a sneak peak at four new molds from Latitude 64 and Dynamic Discs. These molds were all PDGA approved in November 2018 and are set to release in 2019. Let’s take a look! 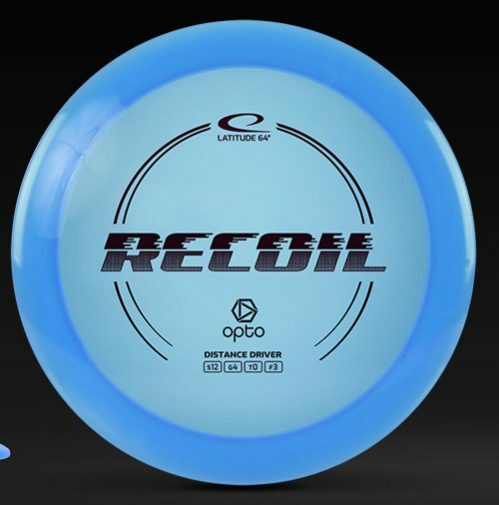 The Recoil has also been announced on Latitude 64’s website, giving us a little more information on the disc. The Recoil has flight ratings of 12, 4, 0, 3. 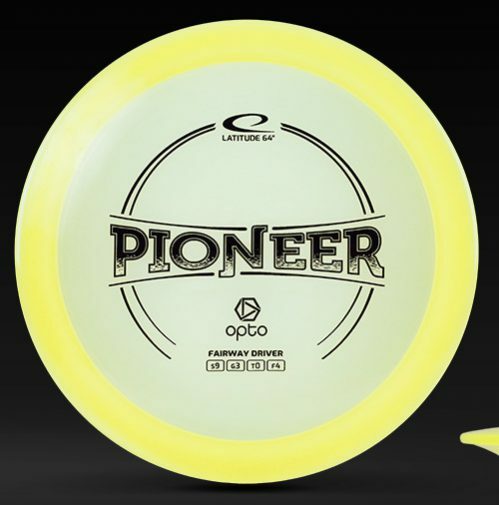 Latitude 64’s description says that it will be a comfortable disc to throw with reliable fade at the end of the flight. The Pioneer is a new fairway/control driver announced by Latitude 64. They give it flight ratings of 9, 3, 0, 4. These are the same flight ratings as the Firebird, one of Innova’s most popular overstable fairway drivers. Latitude says this disc will have a very flat top, making it a perfect choice for sidearm throws. This disc also compares closely to the Felon – Dynamic Disc’s overstable and flat fairway driver. We’re excited to see how it flies! The Guard was PDGA approved recently, but not a lot of other information has been announced about it yet. The dimensions of the Guard can help tell a story, though. It has very similar dimensions to the popular Judge. The Guard is just a touch smaller in diameter, a tiny bit taller, and has a slightly skinnier rim. This leads us to believe this will be a new putter, but that is all we know at this time! The Vandal is another disc that has been approved by the PDGA, but not announced by Dynamic Discs. A look at the dimensions tells us at it is likely a new fairway driver around speed 8. This is due to the rim thickness being the same as the Witness and Thief. Again, not much is known at this time, but we’re excited to get this in our hands! On a more controversial side note: The Vandal is the name of a prototype Legacy Discs mid-range mold. In 2018 some samples of the Legacy Discs Vandal had been floating around, but the disc was never PDGA approved. Unfortunately, to be PDGA approved, two discs can not have the same name, so Dynamic Discs might have beat Legacy to the punch.